Do you know how to figure out what your dog is allergic to? If your answer is no, don’t feel bad. I had no idea either before I began my journey of parenting a dog with food allergies! We’ve talked about dog food allergies quite a bit in the past, but today we’re going to really pull it all together for you. In this definitive guide, we’ll go over everything from determining whether your dog actually has an allergy, what type of allergy he has, and what you can do about it! Then, we’ll get into a few frequently asked questions (FAQs) about dogs with food allergies. Use the table of contents to help you navigate! Is it a Dog Food Allergy or Something Else? What dog food ingredients cause allergies in dogs? Before we get into how to figure out what your dog is allergic to, we need to figure out if he even has a food allergy to begin with, right? I’ve had three dogs with allergies (two have crossed the Rainbow Bridge, one is just over a year old now). Of the three, only one had a true food allergy. The other two had different allergies. One was allergic to fleas (even a single bite could set her off) and the other has general skin sensitivities. While food can aggravate a flare-up, it’s not the cause. So, how do you know the difference between dog food allergies symptoms and regular seasonal allergies? It’s not easy! First, you need to know the symptoms of allergies in general, then we’ll go from there. Now is a good time to talk about some of the weirder symptoms, as well as the frequently asked questions that come up when talking about dog food allergies symptoms! Can dog food allergies cause ear infections? Theoretically, yes. While ear infections aren’t a typical symptom of food allergies, if your dog is scratching his ears a lot he could break the skin and allow bacteria to enter. Food allergies can also weaken his immune system and increase the risks of ear infections. Prevent ear infections by learning the right way to clean your dog’s ears! Can dog food allergies cause hair loss? Absolutely, yes! My dog with food allergies lost quite a bit of his fur from scratching before we figured out the problem. Constantly scratching the same spot weakens and loosens the fur, and the overall immune system is weakened by the allergy. The result: dull, dry, brittle fur that is prone to breakage and falling out. Can dog food allergies cause breathing problems? Again, yes, it can. Think about how you feel when you have unmanaged allergies. Shortness of breath is not uncommon. The worse the food allergy, the higher the risk of breathing problems. Can dog food allergy cause coughing? Yes, just for the same reasons that it can cause breathing problems. Coughing, wheezing, and snoring are a few of the hallmark signs of an allergy in your dog. Maybe, but it’s rare. Your dog would have to be severely allergic to a certain food to experience a seizure. In general, only about 1% of dogs experience seizures in their lifetime. If your dog has a seizure, get to the vet immediately. Related: Allergies vs Intolerance: What’s the Difference? Here’s the kicker: most symptoms of a food allergy can also indicate a flea allergy or a good old-fashioned pollen allergy. So, how do you figure out what your dog is allergic to? There are a few methods vets use to figure it out. Before your vet can treat your dog’s allergies, you need to find out what type of allergy he has! There are several ways to determine this. Does your dog show allergy symptoms year-round, or just in one particular season? If he’s symptomatic only in the spring, chances are it’s just a seasonal allergy. If he’s showing symptoms year-round, there’s a good chance it’s a food allergy. Dog food allergies get worse over time if you continue to feed your dog the offending food. While seasonal allergies can ebb and flow throughout the season, if your dog is steadily getting worse, you are more likely looking at a food allergy. Your vet may recommend that you start your dog on an allergy-friendly diet, eliminating all potentially offending foods (more on that in a bit). If your dog gets better, then you can be almost certain that it’s a food allergy. Since it can take weeks for your dog to get better after removing the offending food, it’s easier (and faster) to just go totally hypoallergenic right off the bat, then slowly add stuff back in versus removing one food at a time. Dog allergy testing is definitely the most expensive option, but if your dog is really suffering, it’s worth it. Expect to spend between $200-500, depending on the type of test. It’s by far the fasted way to figure out what your dog is allergic to, and you’ll have your answer within days instead of weeks. All these dog food allergy testing methods must involve your vet. You can’t diagnose on your own. Yes, I know you’re thinking “I can totally eliminate foods from my dog’s diet and figure it out myself!” Trust me, it’s better to have a vet along for the ride. Once you know what your dog is allergic to, you’ll need to come up with the right diet to treat it. The good news? Treating dog food allergies really isn’t all that difficult! You’ll need to remove the offending food entirely and make sure your dog is still getting the right nutrition. In many cases, this comes down to a simple protein swap. If you’re dealing with dog food allergies to chicken or beef, buy food with other protein sources like lamb. If you’re dealing with dog food allergies to lamb, buy fish. You get the point! You’ll also most likely need to eliminate grains from your dog’s diet, since they are a common dog food allergy trigger. In fact, before we continue with the best dog foods for allergies, let’s go ahead and talk a bit more about those most common triggers, shall we? Like people, dogs can be allergic to just about anything. Also, like people, those allergies can pop up at any time. My boy Coop spent half of his life with zero allergies. He ate everything in sight, but that was a different issue! Then one day, BAM! Allergies. Beef– The #1 protein source used in dog food is also the #1 allergen. The more dogs eat something, the more likely they are to become allergic to it. Dairy- Just like people, dogs can become lactose intolerant. A true dairy allergy is rare, but an intolerance can be just as miserable for your dog. Lamb– Once a “safe” choice, lamb’s increased popularity is quickly putting it in the same category as beef and chicken. Soy– Soy allergies may not be in the top five, but as far as nastiness goes, they’re among the worst. Soy can wreak havoc on your dog’s reproductive system and liver. Best to avoid this one. Fish – Again, a relatively safe choice, but as it increases in popularity, expect to see a rise in the number of dogs who are allergic to fish. Everything else- As I mentioned above, your dog could theoretically be allergic to just about anything and everything. If you’ve eliminated the usual suspects and still see an issue, it’s time to start eliminating more foods with the help of your vet. FYI, unlike in people, peanut butter allergies are actually fairly rare in dogs. That’s why many of our hypoallergenic dog treat recipes contain it. Just make sure you’re not using peanut butter sweetened with xylitol. Don’t worry, as of today there are only about 4 brands that use it, and they’re all specialty brands you’re more likely to find in boutique stores and on your grocery store shelves. We touched on this above, but let’s get into a bit more detail. Unless you’ve opted for allergy testing, your vet will put your dog on the elimination diet to try to pinpoint the culprits. You want to find a novel ingredient, something that you have never fed your dog, so chicken, beef, and the likely suspects are out. If your vet suspects a chicken allergy, she’s not going to give your dog turkey for the trial. The two are just too much alike. Obviously, your dog needs to eat the food for the trial to work! My dog wasn’t terribly picky, but some dogs won’t touch certain foods. Some protein sources are very expensive. While kangaroo dog food allergies are rare, it’s also like twice as expensive as bison, for example. If your vet chooses a protein that you know you can’t afford, tell her. She’ll work with you to find something that works within your budget. Once you start the elimination diet, do not stop until your vet tells you to do so. After a few weeks, if your dog shows improvement, your vet will help you add foods back in. You’ll begin with the least likely suspects and work your way back up until you figure out what your dog is allergic to. Now that you’ve determined the allergen, you’ll need to find the right food to feed your dog from here on out. Let’s talk a bit about the best dog foods for food allergies. Honestly, there is no single dog food that is best for allergies. The right food depends on your dog’s specific allergy as well as your budget. See, here’s the thing: we all want to feed our dogs the best possible food on the planet. Unfortunately, we all have budget constraints that may not allow us to spend $300+ a month on dog food. Some of the top brands can cost up to $120 for a 25-lb bag! Rather than tell you which food to buy, I think it’s more important to tell you HOW to choose the right dog food for allergy sufferers. Obviously, the first step is knowing what your dog is allergic too. We’ve already talked about that, so I’ll spare you more details. I do suggest you keep a list in your purse or wallet to refer to while you’re shopping. Don’t rely on the ingredients listed on the front or the name of the “recipe.” Read the label to make sure allergens aren’t hiding! For example, did you know that chicken is included in most dog foods? Yep, even that delicious Bison Recipe could have chicken as filler! Not sure what to look for? Learn how to demystify dog food labels! If you’re used to feeding your dogs a cheaper brand of food, I have some good news and some bad news. The bad news? You’re going to have to spend a bit more on high-quality allergy-friendly kibble. The good news? You don’t need to feed them quite as much! If you look at the feeding guidelines on your average cheap grocery store food, they’re kind of insane. We’re talking 5-6 cups a day for a big dog! High-quality kibble packs more nutrition into each bite, so you may only have to feed your dog 2-3 cups a day. Consider this, also: a better diet means fewer health problems. That extra $15-20 a month that you will need to spend on food could save your hundreds or even thousands (or utter heartbreak if you can’t afford the thousands) down the line. While your vet is a great source of information, they aren’t always the best person to ask for specific food recommendations. They are quick to push a prescription diet that, honestly, has nothing in it that requires a prescription. They also receive kickbacks from certain dog food companies for recommending a specific food (just like your doctor may get kickbacks from a medication company). Even if you do decide to go with your vet’s recommendation, you can almost always buy it cheaper somewhere else. If you opt for the prescription diet, ask your vet for a written prescription. By law, they have to provide you with one. Instead, ask your vet what you should look for in a food, and what you should avoid. Do your own research from there. I’m not saying your vet is going to give your dog bad food on purpose, I’m saying you should do your own homework before buying food from them. As for where to do your research, I am a big fan of the Dog Food Advisor website for initial research. I also read reviews from other dog parents on sites like Chewy.com and Amazon. On those reviews, I’m not just looking at how it affected a dog’s health, but also how many people said their dog loved or hated it. I don’t want to spend $50 on a bag of dog food if 90% of people said that their dogs wouldn’t touch it! You’ll notice that grain-free kibble ranges anywhere from about $35 all the way up to over $100 for a 24-30lb bag. That’s quite the price discrepancy, isn’t it? As I mentioned above, as much as we all would love to feed our dogs the top-of-the-line dog food for allergy symptoms, we also have budgets to work with. My advice? Get the best you can reasonably afford (as in, you’re not choosing between dog food and heat), and don’t beat yourself up if it’s not the $120 bag of food. I fed my three “original” dogs grain-free foods ranging from $35-50 for a 30-lb bag for most of their lives (early on, I didn’t know better). My two girls lived to be almost 15. My boy Coop lived to almost 11. He was my allergy boy and he had some other health issues from living in awful conditions the first 6 months of his life before we rescued him. All three were large dogs. The point is, unless your dog has severe medical conditions that require more expensive food, you’re not going to shorten their lifespan by opting for the $40 grain-free food versus the $120 one. One more tip: use the same process for choosing both wet and dry food. Canned dog food allergies are just as likely as kibble allergies. I am a little apprehensive about giving you my top choices because they’re just that, MY choices. They’re not the only good food out there by a long shot. So if you want my opinions, keep reading. If not, skip to the next section, I won’t be offended! Royal Canin has a ton of varieties, including allergy-friendly foods. I don’t love that they use soy in one of their recipes, but there are so many other “selected ingredient” varieties to choose from, making Royan Canin for dog food allergies a top choice. It’s a pricier choice, though, at about $90 for a 25lb bag. Canidae is another brand that makes a decent amount of “recipes,” including quite a few grain-free limited-ingredient blends that are great for skin allergies. It’s just about $50-ish for a 25-lb bag (may even be cheaper with sales), while some of their super specialized recipes can run you a bit more. For dog food allergies, Taste of the Wild is always one of my go-to foods because they have some rather unique protein sources, making it easy to find something your dog can eat. Prices vary depending on which protein source you choose, but I can usually find it on sale for about $45 for a 30-lb bag. 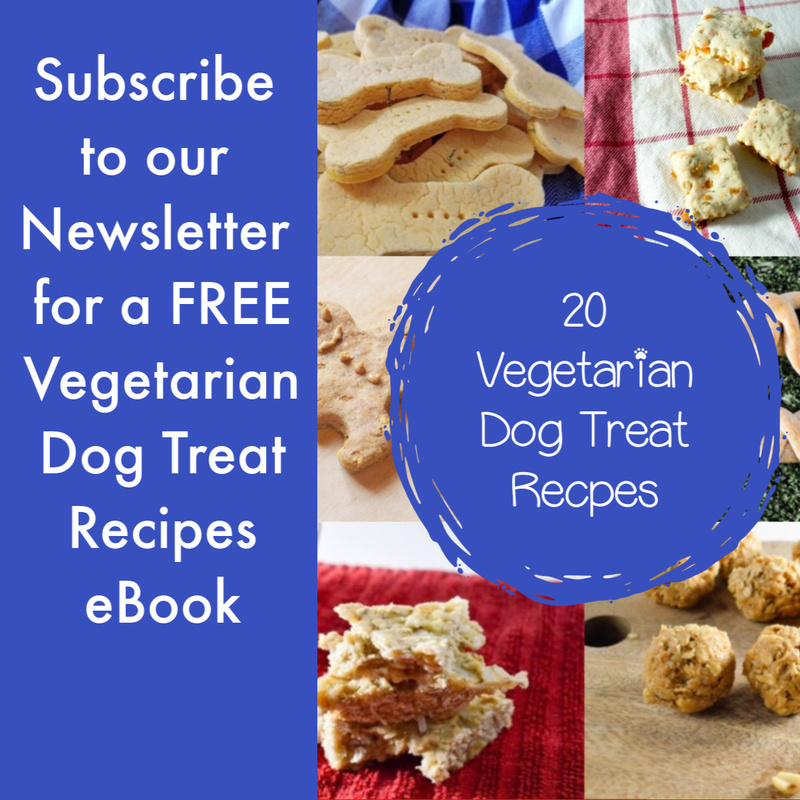 You may need to experiment a bit to see which recipes your dog likes best. Get some smaller bags to start with until you have a few favorites. AvoDerm is, in my opinion, one of the best foods for dog allergies. Yet, they don’t get nearly enough air time. I’ve been a fan since I first tried it a few years ago. 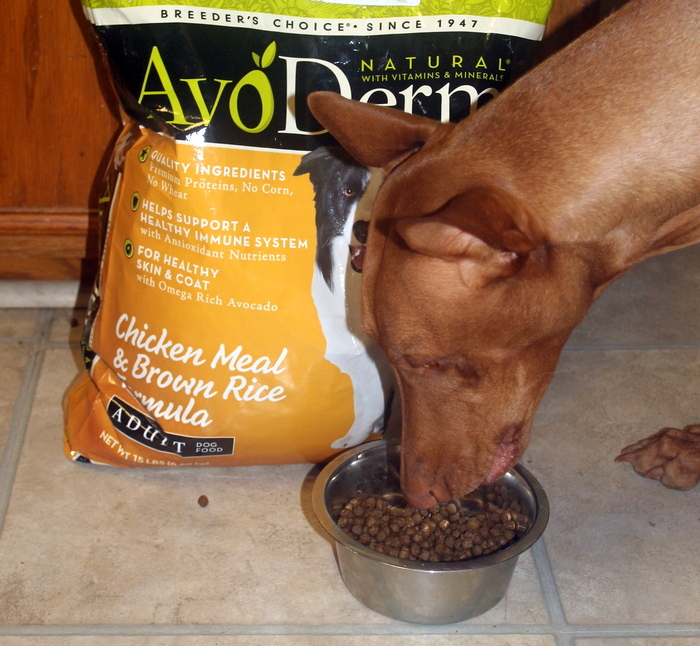 We recently shared an AvoDerm review here on DogVills for one of their popular recipes for dogs with skin issues. It’s a great food if you dog just has seasonal allergies or a dull coat. For food issues, though, I highly recommend the Revolving Menu . 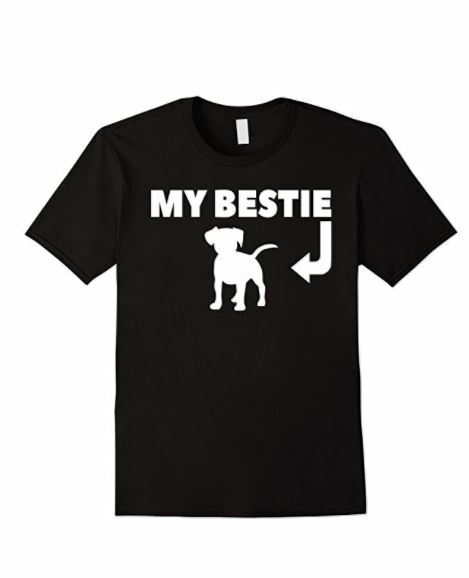 It’s actually designed to help dogs with food allergies. At just over $50 for a 22-lb bag, it is a little more expensive than some of the other foods, but still a reasonable price. It’s also a great dog food for pitbulls with allergies! I know this from experience! Acana by Orijen is kind of my “dream dog food,” because it’s such an amazing food but it’s also so far out of my price range. You’ll want to go with the “Singles” line, like the Acana Wild Mackerel Singles Formula or the Acana Duck and Pear Singles Formula . While I think that Orijen dog food allergies are fairly uncommon when you go with their Acana line, you’ll still want to read the label closely if your dog has unique allergies. Unfortunately, it’s really difficult to prevent dog food allergies, especially if your dog is already allergic to one ingredient. Genetics and other uncontrollable factors play a large role in creating an allergy. However, there is a bit of hope. Many dogs become allergic to a food after long-term exposure. Basically, if you feed your dog beef at every meal, he’s more likely to become allergic to it. That’s why beef and chicken are among the top five dog food ingredients that cause allergies in dogs. I am personally a big fan of the rotation diet. I change my dog’s protein source every couple of weeks. That way, they’re not constantly eating the same protein source. I have a list that I cycle through that includes brands like Blue, Taste of the Wild, American Journey, and a few others. You might have been told that you shouldn’t change your dog’s food without going through a huge transitioning process. Honestly, I don’t do that, and my dogs are fine, as long as we’re switching from one high-quality grain-free food to the next. After a lot of research and years of experience, I learned that if your dog is healthy (aside from the allergy), you really don’t have to go crazy with a transition process. If you’re not convinced, then you can follow the guidelines by starting with 25% new food and 75% old, then gradually increasing the new to old ratio over a period of 7-10 days. We touched on some of the frequently asked questions above in the symptoms of allergies in dogs section, but I came across a few more good questions that didn’t really fit anywhere else. Are dog food allergies genetic? Yes, they can be. While genetics don’t account for all dog food allergies, they definitely can play a starring role. How long do dog food allergies last? If you’re asking how long your dog will be allergic to a particular food ingredient, the answer is forever. While dogs may outgrow seasonal or contact allergies, it’s incredibly rare for them to outgrow a food allergy. If you’re asking how long the allergic reaction lasts, expect to wait between 2-3 weeks to see complete improvement after you remove the allergen from the equation, according to VetInfo. How common are dog food allergies? According to CNN, 10% of all dogs develop some sort of allergy in their lifetime. Of those dogs, 10% will develop food allergies. When you think about it, 10% of 10% doesn’t sound like a crazy high number, until you consider that there are about 73 million family dogs in the US alone, and that’s just counted the registered dogs. That means that at least 730,000 dogs in the US have food allergies. Can I use homemade dog food with allergies? Yes and no. Yes, if you talk to your vet first to help you come up with a balanced recipe for dog food with allergies. No if you think you can just go buy some bison meat, chop it up, and throw it on your dog’s plate! Homemade dog food requires a lot of research to make, and homemade dog food for allergies requires even more diligence. Still, it can be done! 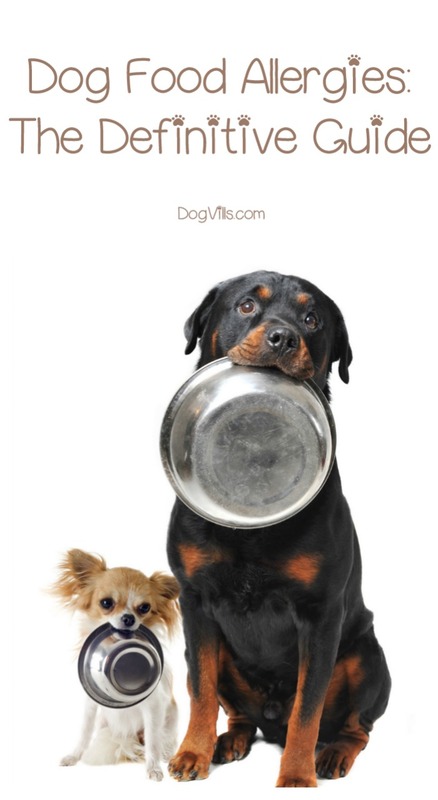 Read these homemade dog food guidelines before you try it yourself! Should I try a special “dog food allergies raw diet”? The raw diet for dogs is fairly controversial. Some people swear by it, others think it’s the worst thing you could do to a dog. You can learn more about that in our Raw Diet Debate post! Like homemade dog food, you have to know what you’re doing. If you want to try raw, but don’t feel confident that you can put in the research and come up with the right food combinations, then try one of the premade raw diets on the market. My dogs love Wellness Core Raw Rev, for example! Stella & Chewy is also a popular brand that’s heavier on the “raw” than CORE (which mostly just has raw bits). Is there any dog food allergy medication? There are drugs that help relieve allergies in dogs, but there isn’t really a specific dog food allergy medicine. The only way to treat your dog’s food allergies is to avoid feeding him the offending ingredient. As far as medications for symptoms go, there are a lot of options. Benadryl is a relatively safe option for most breeds. My dog does well on cetirizine, the generic for Zyrtec. Some dogs require even stronger medications, like Apoquel. Your vet can help you decide on the best option. The good news about dealing with food allergies in dogs: there are SO many different foods on the market with alternative protein sources designed to fit all budgets. It’s not really hard to manage your dog’s allergies once you know what they are, unless they happen to be allergic to just about everything! That said, I wouldn’t recommend feeding your dog hypoallergenic dog food if he doesn’t already have an allergy. I’d also recommend saving a few protein sources as a backup plan in case he does develop allergies. Remember, you’ll need to feed him something he’s never eaten, and if you’re already feeding him kangaroo, alligator, and other exotic proteins it’ll be hard to do that. Have any other questions about dog food allergies that I didn’t cover? Feel free to ask below! I’d also love to hear your experiences and recommendations for hypoallergenic dog foods!